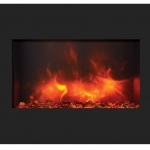 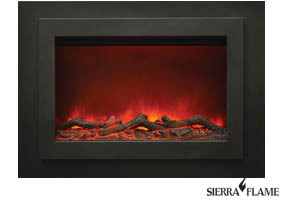 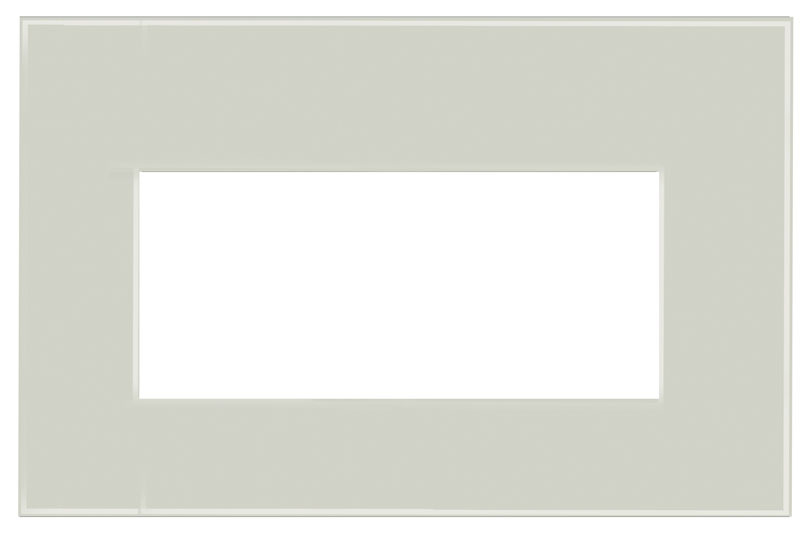 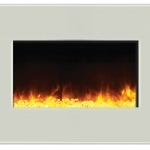 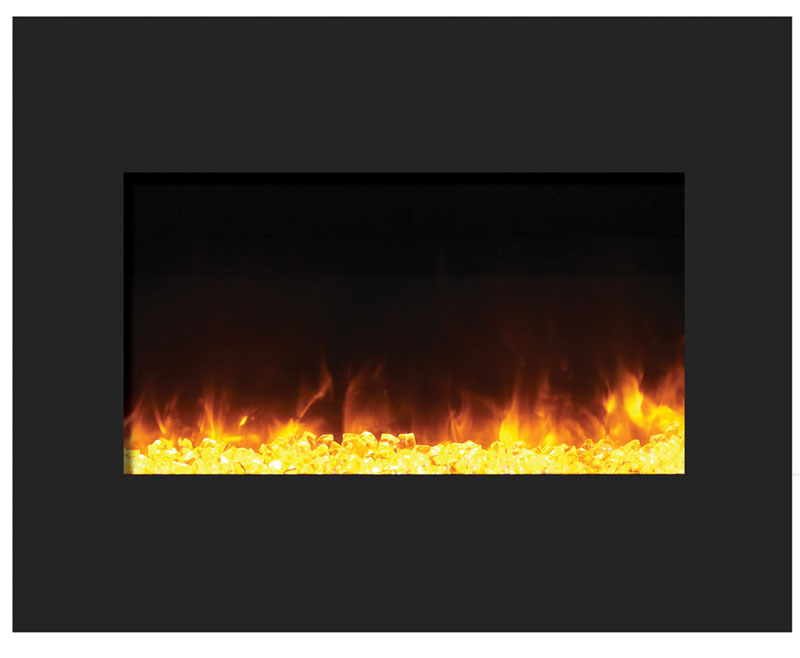 The aesthetically pleasing ZECL‐26‐2923-BG fireplace features a black glass surround that easily compliments any decor. 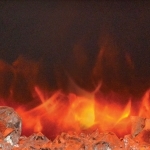 Flame operates with or without heat New style log set included. 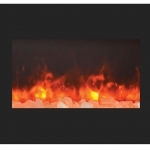 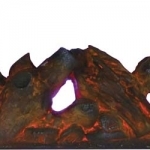 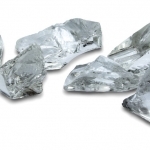 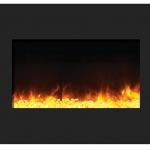 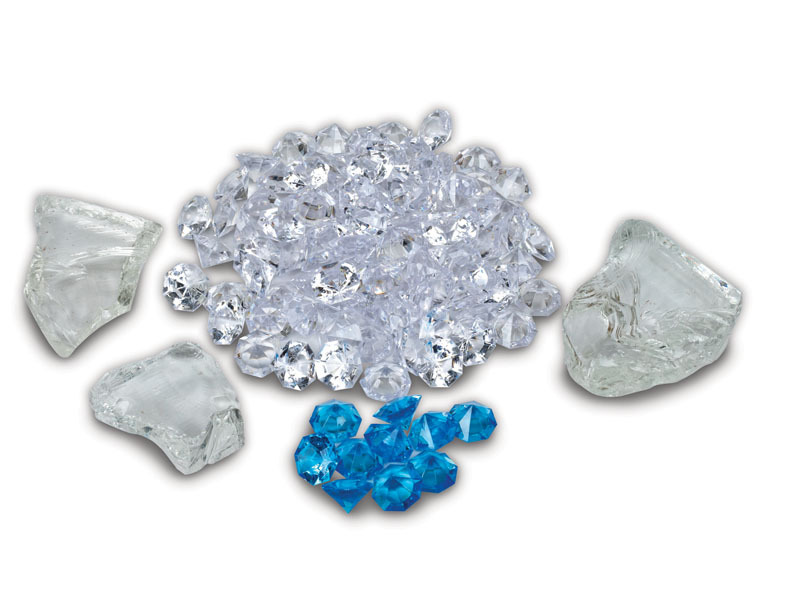 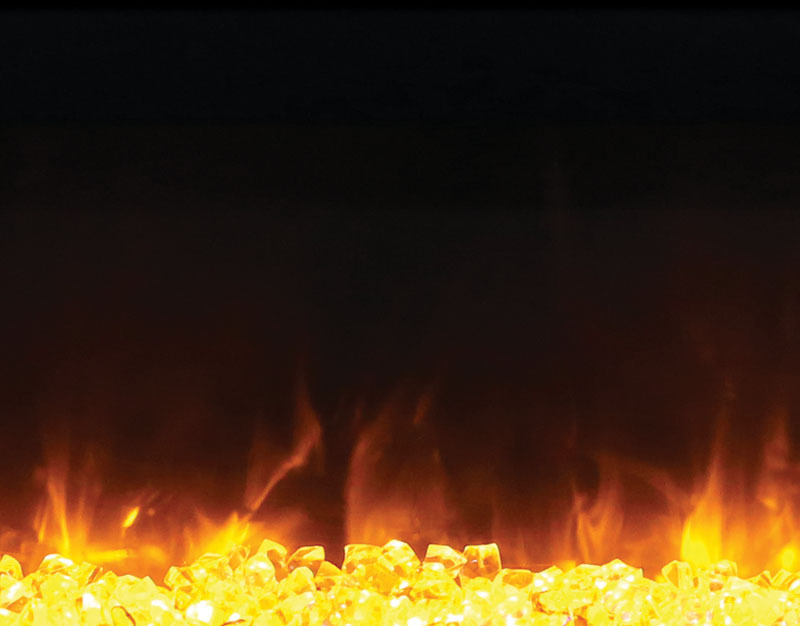 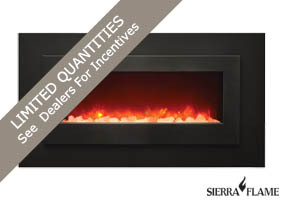 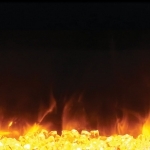 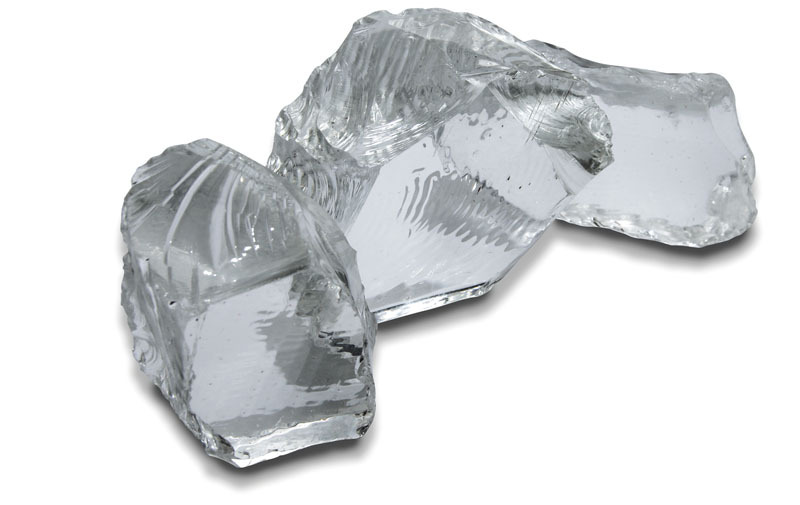 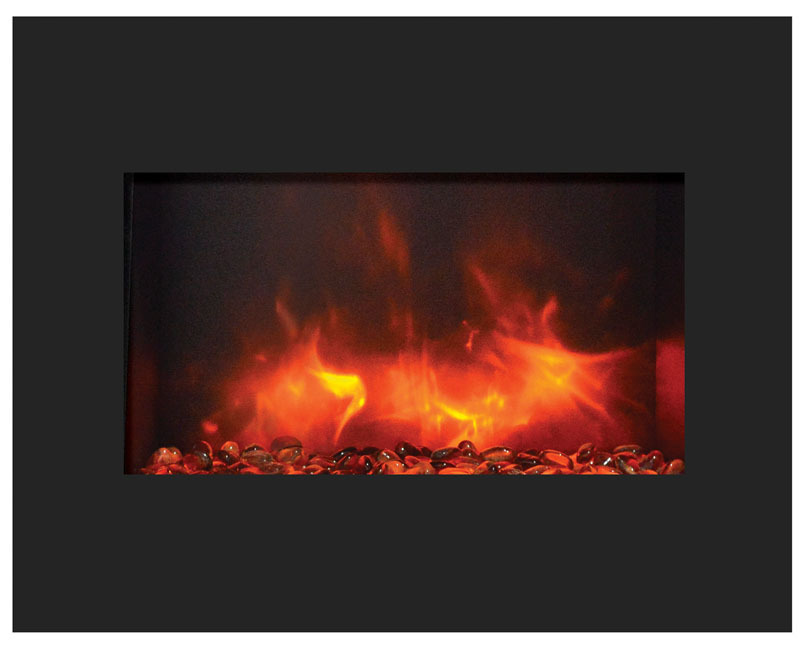 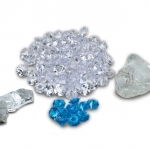 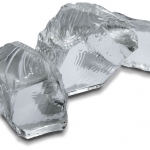 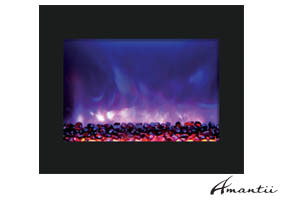 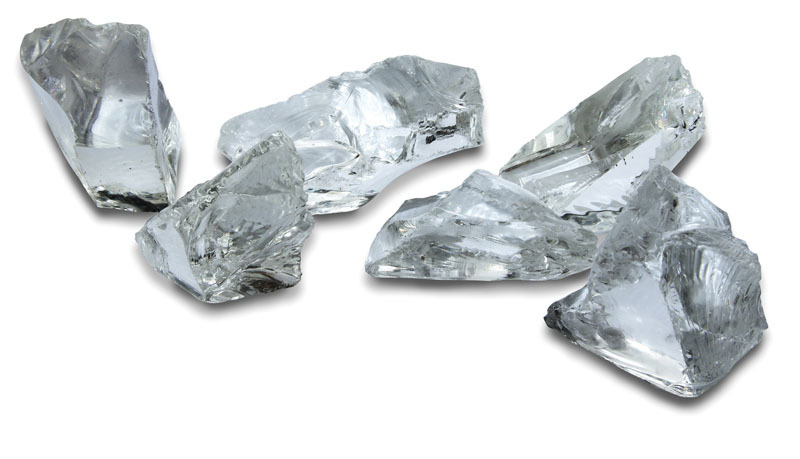 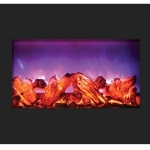 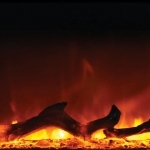 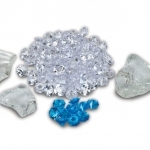 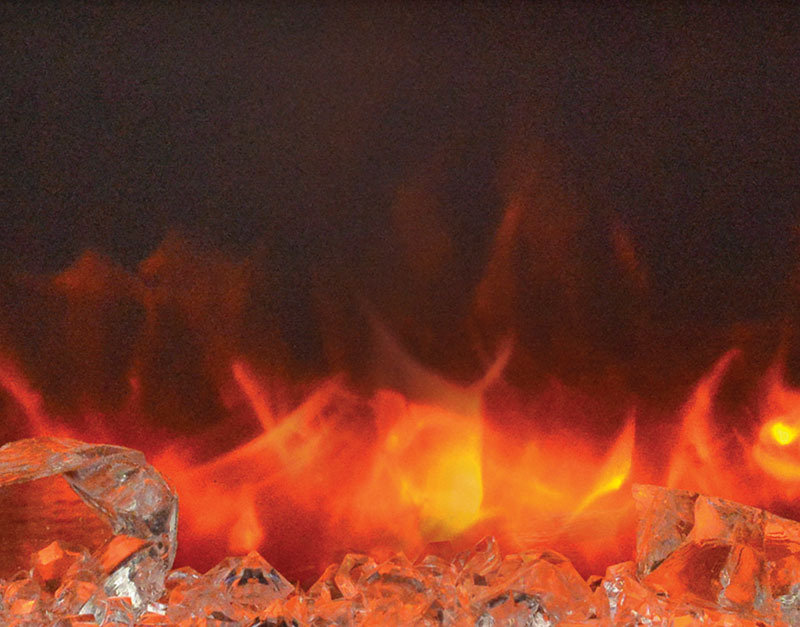 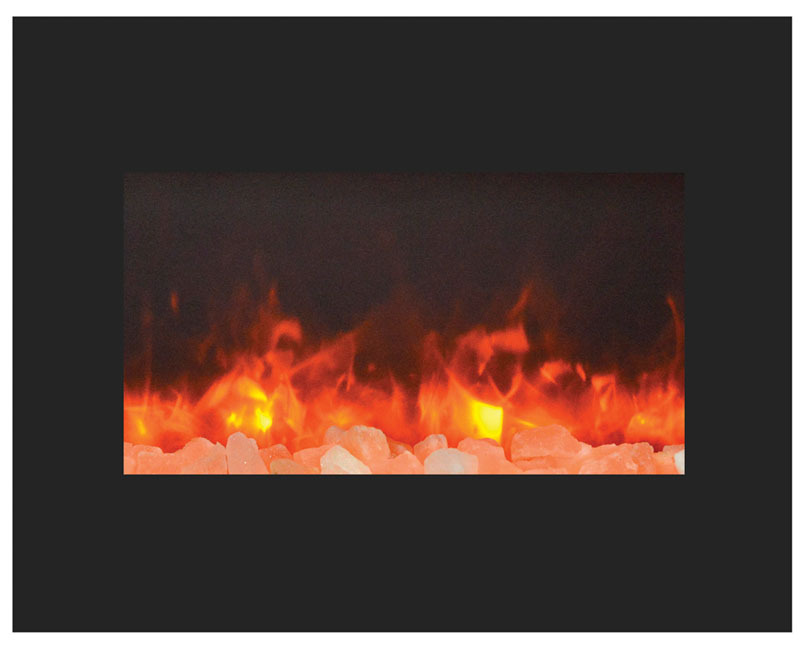 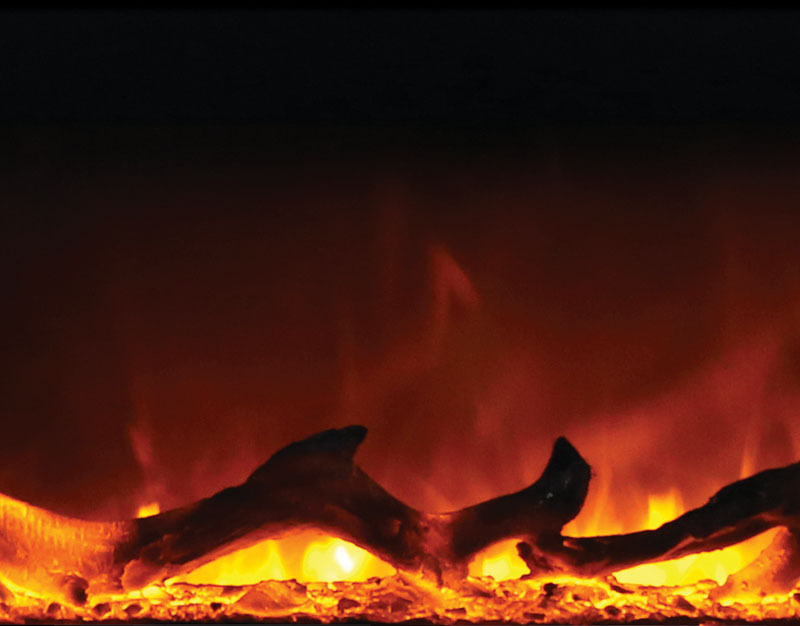 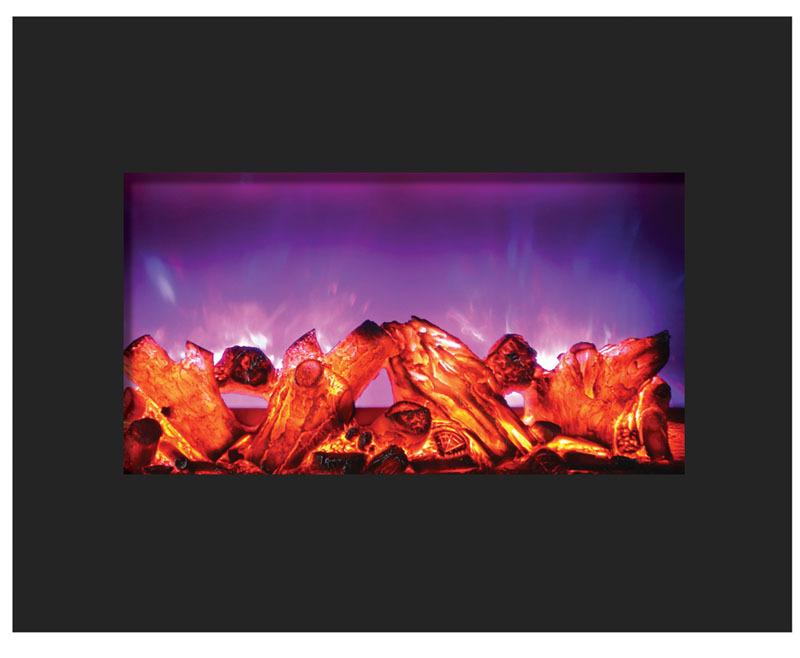 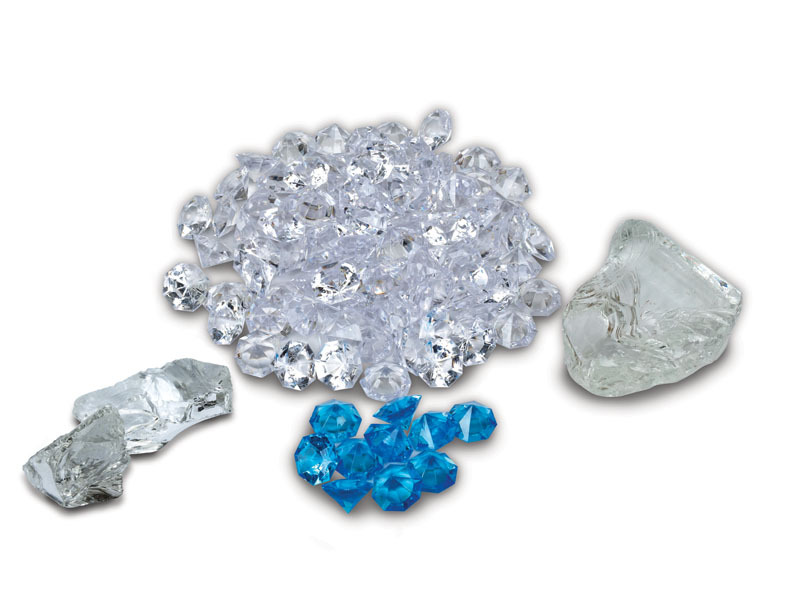 Optional decorative media of EMBER or FIRE & ICE® available for purchase. 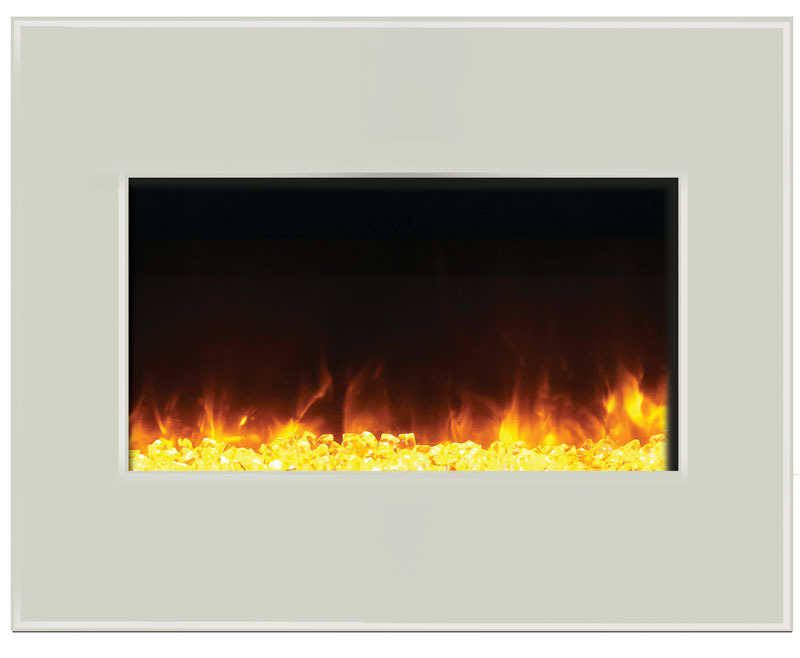 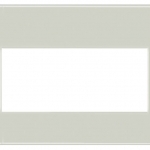 Heat is vented out the top – except on flush mount models where heat is vented from the face. 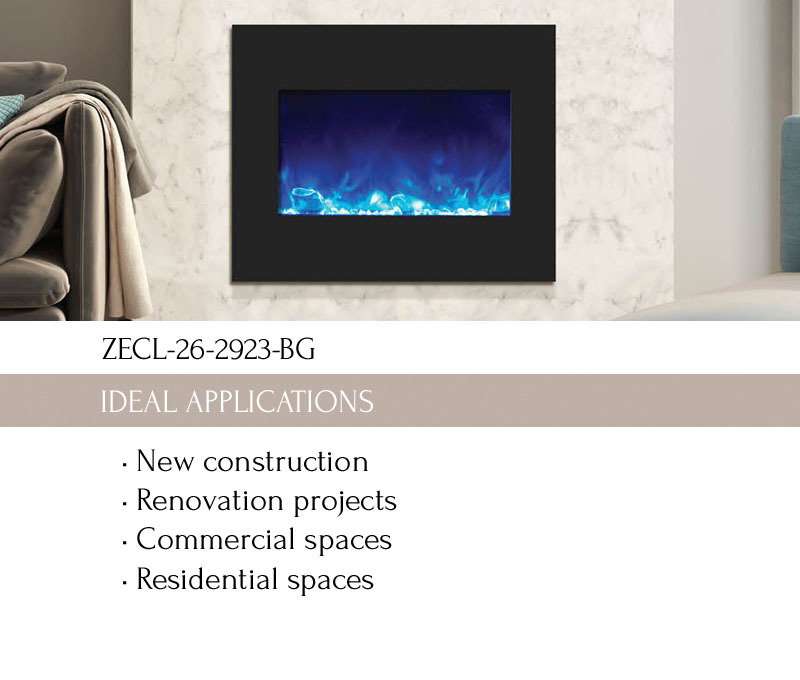 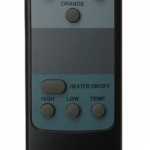 The ZECL‐26‐2923-BG comes standard with a log set and a remote. 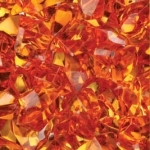 This is just a small sampling of the flame colors that can be achieved for some the Zero Clearance models, along with a variety of media.